BTEC Level 5 Sports Massage and Remedial Soft Tissue Therapy, London NLSSM | Kinesio Taping KT3, Cambridge and London | Acupuncture Techniques for Sport Massage Therapists, Oxford | Full Body Pregnancy Massage, Manchester. After fifteen years of heading up a worldwide training department, Daniel wanted to bring new learning and experiences in to his life. 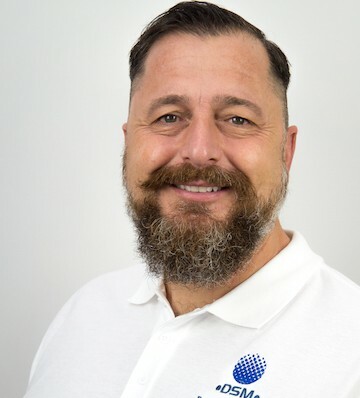 A couple of years of research and soul searching later, he decided to retrain as a sports massage and remedial soft tissue therapist at the renowned London branch of NLSSM. Daniel is also a Senior Tutor at the London branch of NSSLM. To further support his clients, Daniel has undergone additional skill based training in Kinesio Taping and Acupuncture Techniques for Sports Massage Therapists. These additional services complements his massage skills during times of acute, sub acute and chronic stages of clinical and sports rehabilitation. Daniel is also qualified in Full Body Pregnancy Massage and offers a service that is both beneficial to the adapting musculoskeletal system during pregnancy and that of the body, mind and spirt. Daniel embraces meditation to enhance his wellbeing. He first learnt the skill of meditation by attending the Cambridge Buddhist Centre. After several years of daily practise he undertook a ‘Zen Meditation and Mindfulness for Wellbeing’ Teacher Training Course with Zenways. His wish now is to help others experience the many benefits of meditation by running his own eight-week course in the subject. Daniel also offers one-to-one appointments to those who wish to learn and practise on an individual basis.